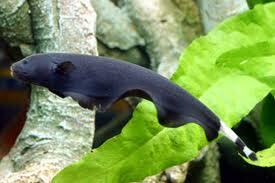 Freshwater tropical fish care should be considered as important as looking after any animal. 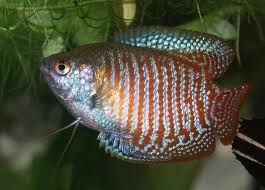 Freshwater tropical fish are a great alternative to pets that poop on carpets and claw at the furniture. 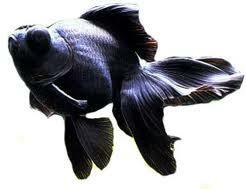 Not only are fish therapeutically pleasing and interesting animals, but they can be very easy to care for. You may consider pet fish as boring, but you would be amazed at the variety, colours and characters inherent in freshwater tropical fish. 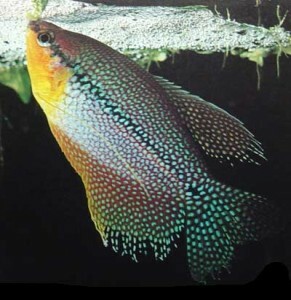 I have personally kept freshwater tropical fish since my childhood years and have learned a great deal regarding what to get and how to care for a great array of fishy friends. If you wish to invest in your first tropical fish tank it’s a good idea to go large. Starting off small is not necessarily easier and once you get into such a hobby (and your fish grow) you will want to upgrade. This can become expensive. Invest in a large, rectangular shaped tank (anywhere between 100-200 liters is a good volume) but first ensure that you have a good place to house it. A fish tank stand is a good idea but ensure that the tank will rest at a comfortable eye-level. It is also important to keep your tank away from direct sunlight as this will cause rapid algae growth. You don’t want to have to scrap away algae in order to have a good look at who is inside. Less light equals less algae. Keep your setup as varied as possible. It’s best to have sections of both soft and gravel substrate, but this will of course depend on what tropical fish you wish to keep. It’s also a good idea to keep your tank well planted and to create lots of hiding places. Create caves, add tubes and form rock tunnels and decorate as you see fit. In technical terms, the Nitrogen Cycle process is called “nitrification”, which is the oxidation of nitrogen by bacteria. It takes time for a new aquarium to achieve balance by removing all of the waste material (ammonia) and reducing it to a less toxic substance (nitrate). Fortunately, de-chlorinating tap water is as easy as adding a few drops of de-chlorinating solution and takes mere seconds to get to work. Once your tank is filled up with de-chlorinated water and you have finished creating your underwater Eden, there is a short waiting period to endure. With a heater installed and set between 24-28 degrees Celsius, and a good filter running, you tank will begin to perform a nitrogen cycle. Your local pet store will provide you with instructions on how to do this correctly. After completing the above you are now ready to get your first tropical fish! It is a good idea to only get a few at first and ensure they are perfectly cheerful before getting more. It is also very important to research each tropical fish species beforehand to understand their needs and requirements and temperament with other fish. There is tons of information available on the web – written by dedicated tropical fish hobbyists who are more than willing to give expert advice to beginners. However, I can recommend the following fish families as good starting choices: Angle Fish, Corydoras, Gouramis, Guppies, Loaches, Algae Eaters and Tetras.